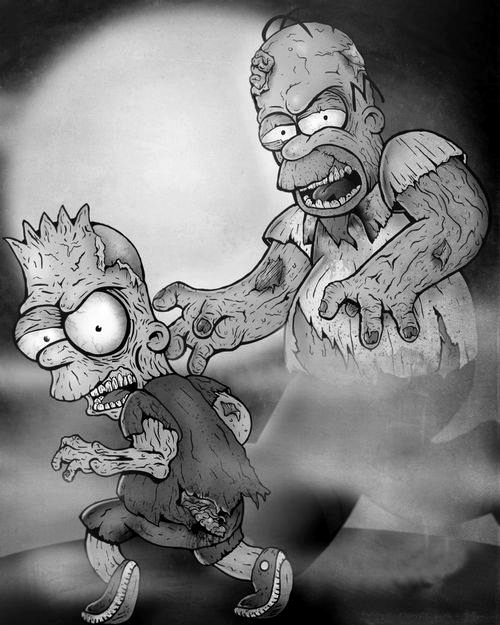 Homer and bart as zombies. . Wallpaper and background images in the 辛普森一家 club tagged: photo homer simpson bart simpson the simpsons zombies. This 辛普森一家 fan art might contain 百合花, 芙蓉de lys, fleur de lis, fleur de lys, fleur de lys fleur de lis, 胚胎细胞, 形成细胞, 标志, 海报, 文字, 黑板, and 文本.